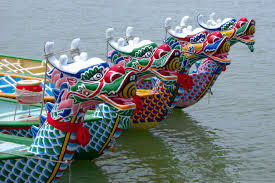 On Monday the 2nd June we will be closed for the Dragon Boat Festival. We are only closed for one day so we hope you won’t miss us too much ! We kindly request that you DO NOT leave donations outside our door while we are closed as we will not receive them. Thank you so much for hanging onto them and dropping them off after the holiday, then we can ensure that your kind donations get to people who really need them. Pre : 17th May We’re at BIBA!